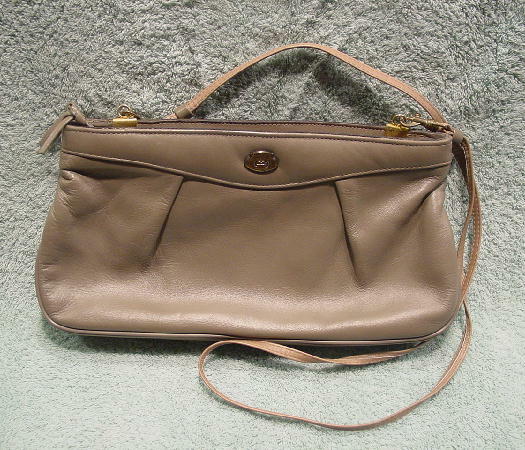 This vintage cement-taupe color faux leather purse is by Etienne Aigner. It has 2 large center zippered sections. The back section has a large open lined pocket. 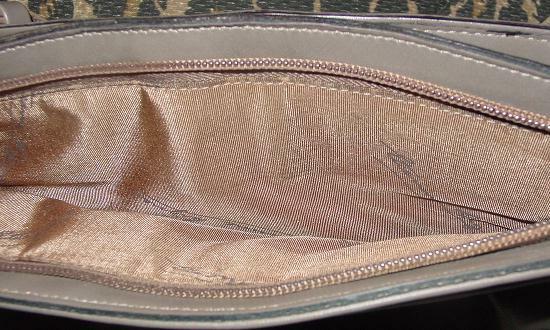 Both sections have a grosgrain champagne-cocoa lining with Etienne Aigner written all over it. 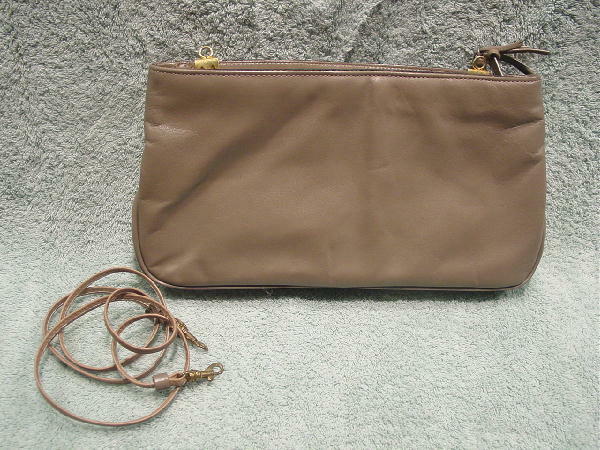 It has a detachable light cocoa-beige 45" long by 1/4" wide shoulder strap. The purse has more of a cement (grayish) color than is depicted in the pictures.